Stackoverflow analysed more than 40 million questions and answers to find books mentioned the most. And No. 1 is one of my personal TOP 3 books on software development ever written – „Working with legacy code” by Michael Feathers. No. 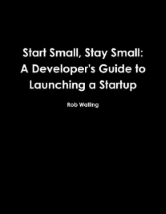 1 – „Agile Principles, Patterns, and Practices in C#” by my favorite author Robert C. „Uncle Bob” Martin and Micah Martin. No. 3 – „xUnit Test Patterns: Refactoring Test Code” by Gerard Meszaros. I really believe that if you don’t like to read a lot of books (not me, I lost count how many I have read) those three will give you extremely high return on time invested in reading (and understanding!) them. I would also like to mention my No. 4 too because it’s close call with No. 3. It’s „Growing Object-Oriented Software, Guided by Tests” by Steve Freeman. It’s not No. 3 only because I think it’s good to read „xUnit Test Patterns: Refactoring Test Code” first. Czy programiści .NET zapomnieli o konstruktorach? Your list is really good. Thank! I can recommend The Pragmatic Programmer: From Journeyman to Master. It isn’t a new book but for me it is one of the best books. I have read this book too and I agree that it’s great.